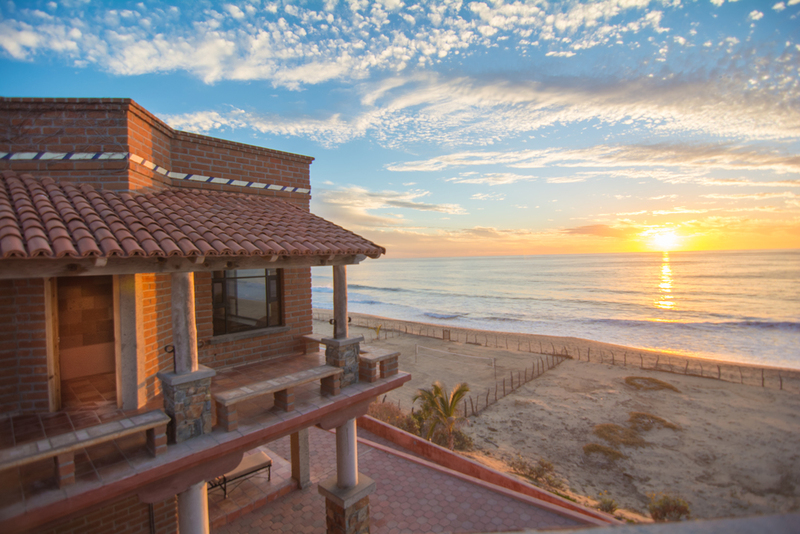 Rancho Viejo is a high quality hand crafted turn-key (furnished) home located on a ¾ of an acre lot overlooking the Pacific Ocean and an endless white sand beach. 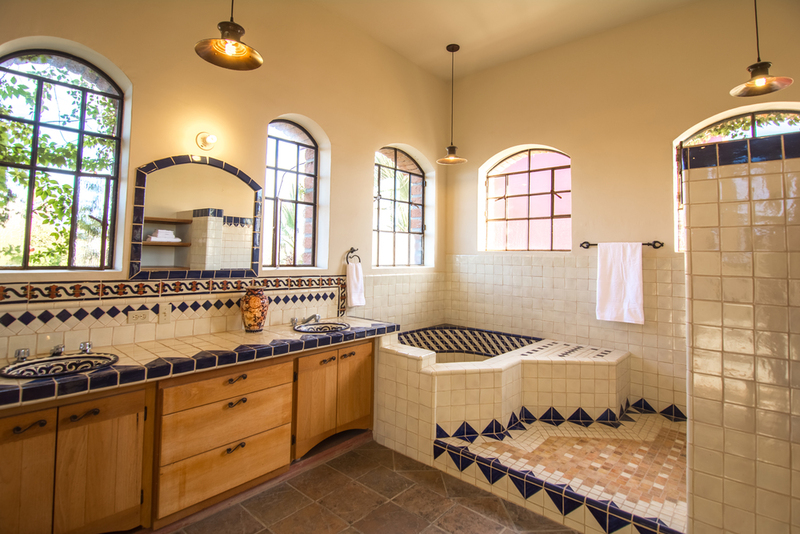 It’s nestled in the friendly gated community of Rancho Nuevo, just 15 minutes south of Todos Santos. Click on the image below to view a video tour of the property! The main house offers 2 bedrooms, 2.5 baths, a large professional kitchen with cooking island and a lovely open dining area. The generous living room presents vast ocean views and for cool evenings a fire place. The property includes two large terraces: one overlooking the beach and a second covered terrace courtyard for outside dining and entertaining. There is also a 3rd large rooftop terrace with 360 degrees views of the mountains and Pacific. 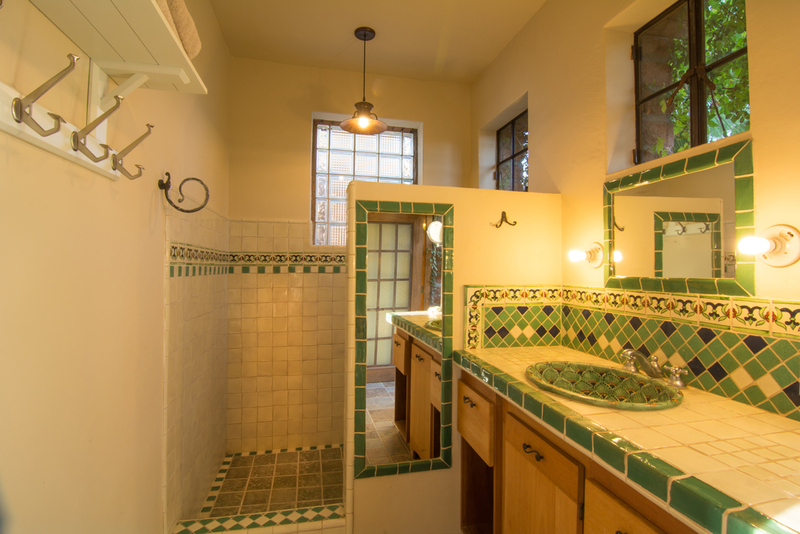 The large master suite presents it’s own fireplace and full bath detailed with handmade Mexican tile and local rock, a soaking tub, and a walk-in closet. While reclining on your king size bed you can watch the waves roll in and the migrating whales passing by on their journey north to the Baring Sea. A second suite also includes a generous bedroom, bathroom and it’s own private oceanfront terrace, perfect for cocktails, reading or morning yoga. Includes one bedroom, bath, kitchen, dining room and a cozy outdoor terrace with mountain views. Perfect for friends, family or as a seasonal rental. The property has lots of secure storage for the solar system, laundry, water purification and gardening equipment. 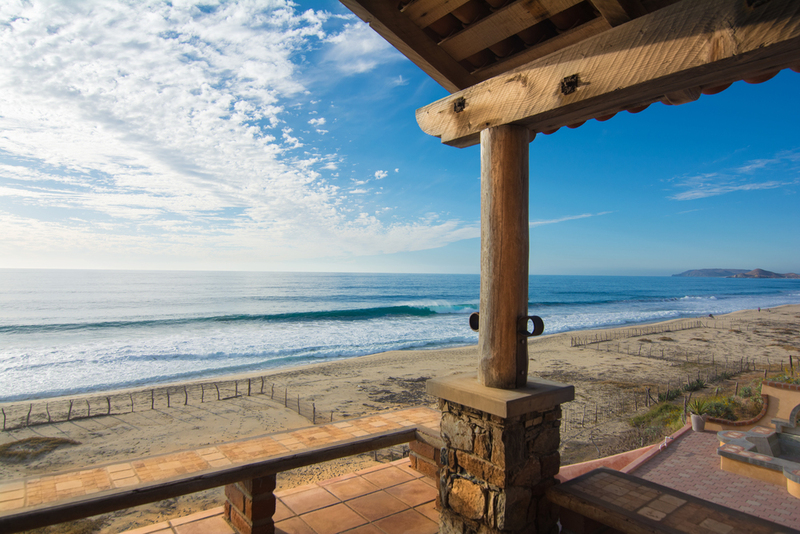 Includes secure parking for 2 cars and additional storage for ATV’s, surfboards or kayaks. Out by the front gate is a wonderful stone and brick building that conjures memories of Baja ranch life from the old days. This elegant but rugged room could easily be converted into an additional bedroom or office. 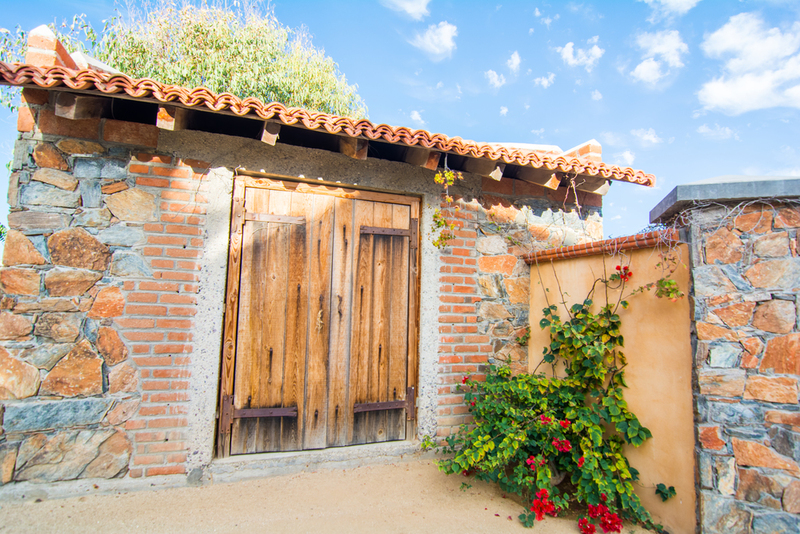 As soon as you walk through the gates entering Rancho Viejo you instantly feel that it was built with love and care. The well thought out gardens are a mix of tropical and desert plants and trees… all designed with water conservation and easy maintenance in mind. This one of kind property is fully walled and gated.